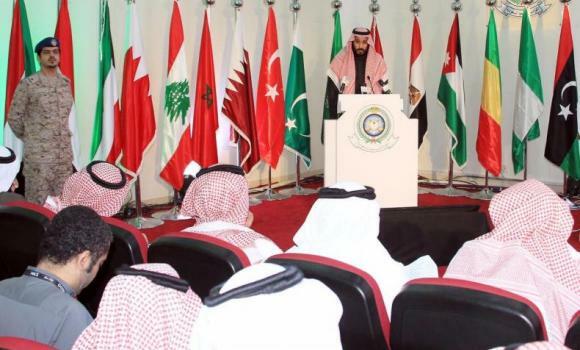 Saudi Arabia, on Tuesday, announced the formation of a 34-state Islamic military coalition to combat terrorism, according to a joint statement published on state news agency, SPA. Nigeria was named as a member of the Islamic alliance by the kingdom "The countries here mentioned have decided on the formation of a military alliance led by Saudi Arabia to fight terrorism, with a joint operations center based in Riyadh to coordinate and support military operations," the statement said. A long list of Arab countries such as Egypt, Qatar, the United Arab Emirates, together with Islamic countries Turkey, Malaysia, Pakistan and Gulf Arab and African states were mentioned. The full statement reads: “The countries whose names are listed in this statement have decided to form a military alliance to fight against terrorism led by the Kingdom of Saudi Arabia and a joint operations centre shall be established in the city of Riyadh to coordinate and support military operations to fight terrorism and to develop the necessary programmes and mechanisms for supporting these efforts. "The appropriate arrangements shall be developed for coordination with friendly peace-loving nations and international bodies for the sake of supporting international efforts to combat terrorism and to save international peace and security. “The countries participating in the alliance along with the Kingdom of Saudi Arabia are: Jordan, United Arab Emirates, Pakistan, Bahrain, Bangladesh, Benin, Turkey, Chad, Togo, Tunisia, Djibouti, Senegal, Sudan, Sierra Leone, Somalia, Gabon, Guinea, Palestine, Comoros, Qatar, Cote d’Ivoire, Kuwait, Lebanon, Libya, Maldives, Mali, Malaysia, Egypt, Morocco, Mauritania, Niger, Nigeria, and Yemen. “More than 10 other Islamic countries have expressed their support for this alliance and will take the necessary measures in this regard, including Indonesia. ”Those additional 10 Islamic countries might include Iran, Syria and Iraq, which are absent from the initial list." Another announcement later followed: “Prince Mohammed bin Salman bin Abdulaziz, Deputy Crown Prince, Second Deputy Premier and Minister of Defence, confirmed that the announcement of the formation of an Islamic military alliance to fight terrorism emanates from the Islamic world’s keenness to fight this disease and be a partner of the world, as a group of countries, in the fight against this disease. “He added: ‘Today, every Islamic country is fighting terrorism individually. The coordination of efforts is very important; and through this room, means and efforts will be developed for fighting terrorism all over the Islamic world. “He also asserted that the Islamic military alliance will coordinate with globally important countries and international organisations in this action, pointing out that the alliance will fight terrorism at military, intellectual and media levels, in addition to the remarkable security effort currently existing." All the group's members are also part of the larger Organisation of Islamic Cooperation, which is headquartered in Saudi Arabia.